Attorneys Jennifer Schulte, Jason Ponder and Alberto Ayo are our Dr Phillips and Metro West divorce attorneys. We have combined experience in family law, custody, and support exceeding 20 years. If you are looking to retain a Divorce Attorney in Dr Phillips or MetroWest, we offer free consultations. Come into our office to discuss your divorce, custody, support, and modifications. This year is going to be the most trying time in your life. We realize that and treat each and every client like they are the most important person we have ever helped. Our Orlando office is across from Bill Frederick Turkey Lake Park, off of Hiawassee. 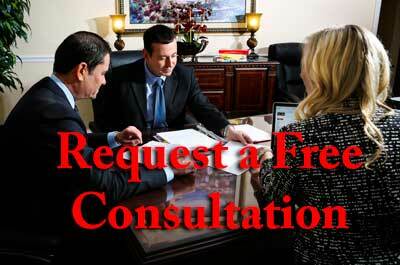 Our consultations are always free. Call us today to schedule an appointment. Choosing a divorce attorney can feel overwhelming and confusing at times. Your attorney is the expert in divorce proceedings and will help you make the best decisions regarding your divorce. Depending on your needs, your attorney can work with you throughout the entire process of your divorce or they can work with you on a limited basis. Here are some quality considerations when choosing the right divorce attorney in Orlando, Metro West, or Doctor Phillips for your needs. The lawyer that you choose to work with should have specialized knowledge in family law. This is important because a lawyer that studied corporate law will not have the same knowledge as a lawyer who studied family law. You wouldn’t let your orthopedic doctor fill a cavity in your mouth, would you? The same goes for choosing a lawyer. Your attorney can be viewed as a problem solver with your divorce. He or she is there to be on your side and to help fight your battles. An ideal attorney will be able to negotiate details of your divorce, work well with others, is comfortable in the court room and has a history of success with previous cases. If you have a feeling that your divorce will end up in the court room, choose a lawyer that has an ample amount of experience working in a court room as not all lawyers do. It is important to understand that if your lawyer is going to do more than just help you with paperwork, you will more than likely need to share personal details of your life with you attorney. In order to share details of your personal life such as finances and marriage, you need to feel comfortable with your lawyer. However, don’t confuse your attorney with a therapist as they are there to help you with the legal details of your divorce. Your attorney should also support your attitude of your divorce. If you want your divorce to run smoothly and calmly, then avoid talking badly about your spouse as this will reflect in your attorney’s attitude as well. Going through a divorce is not an easy task but with the right lawyer on your side, you can meet all of your goals of the divorce and make the process as least stressful as possible. Attorneys Alberto Ayo and Jennifer Schulte are experienced divorce and custody attorneys ready to take on the toughest of jobs. We fight for your rights at the most critical time in your life. We are conveniently located in Ashley Park, in the Metro West area, just up Hiawassee from the Dr Phillips area.